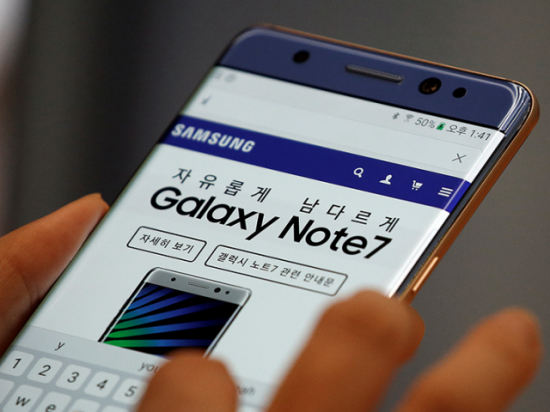 South Korea, Samsung has launched the refurbished model of Galaxy Note 7 and the sale of this mobile phone has been started from 07 July. The refurbished Note 7 is given the name of Galaxy Note Fan Edition (FE), which is prepared from the used and unused part of the Galaxy Note 7. Samsung has stopped the sale of the Galaxy Note 7, after the reports of the catching fire in its batteries. The price of the Galaxy Note 7 FE was fixed as 60,000, which is 30% less than its first model. The sale of this phone is started in South Korea and initially 4 lac models of this mobile phone have been prepared. The sale of this handset will be decided later in other countries of the world. Samsung has also upgraded its Android software and it has great similarity with Galaxy S8 and S8 Plus. In the Galaxy Note FE, the digital assistant is fixed with fingerprint reader and eye scanner. Samsung said in its press release that more than one features are added in the battery so that the users can be saved from any untoward accident. The company shows its hope that Fan Edition will connect it with the big screen to the Note series. It is also reported that despite of the failure in the Note 7, Samsung is working on the release of Samsung Galaxy Note 8.